Computer classes at the Ponca City Library will begin Monday, Feb. 4, and continue through March 11. Classes will take place each Monday morning from 9 to 10 a.m. During these times, computer center will be closed to the general public. Please register for classes at the Ponca City Library reference desk. Class size is limited to 10. Those registered are requested to please cancel if not able to attend a class, in order to allow others to attend. Individuals are also encouraged to read class descriptions carefully, as not every class will meet the needs of each individual. A person does not have to attend all of the offered classes, but may pick and choose which ones are best for their learning needs. The class curriculum offered cannot be customized to meet each individual student’s needs. Computers 101 And Using The Internet- Feb. 4. This basic class starts with turning on a computer, using a mouse, and navigating the Internet. 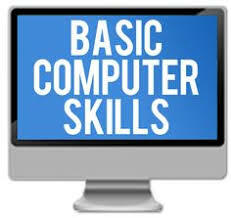 Basics Of Using Microsoft Word- Feb. 11. Learn how to open a page, change font, insert a picture, and save a document. Basics Of Using Microsoft Excel- Feb. 18. Learn how to open a workbook, change font, format columns, and enter a basic formula. The Digital Library- Feb. 25. Learn about what the library offers online (Rosetta Stone, e-books, etc.). It is best to bring an active library card to this class. In-depth instruction on each application will not be offered: Instead an overview of all applications will be given. Library Digital Health Resources- March 4. Learn about health information that can be obtained through the library’s digital collection. Privacy And Security- March 11. Learn helpful tips for how to protect information online and what to do if compromised. For more information, contact Aaron Gray at the Ponca City Library at [email protected] or call (580) 767-0345.